If you watch CBeebies with your kids, then you probably know what Grandpa in my Pocket is all about, but for the uninitiated, let me give you the lowdown. Grandpa in my Pocket is a very popular television programme aimed at children six and under. In the show, Jason's grandpa has a magical cap that allows him to shrink down in size. While in miniature, Grandpa has the ability to make toy cars, planes, and boats, work like the real thing, and then go off on exciting adventures. 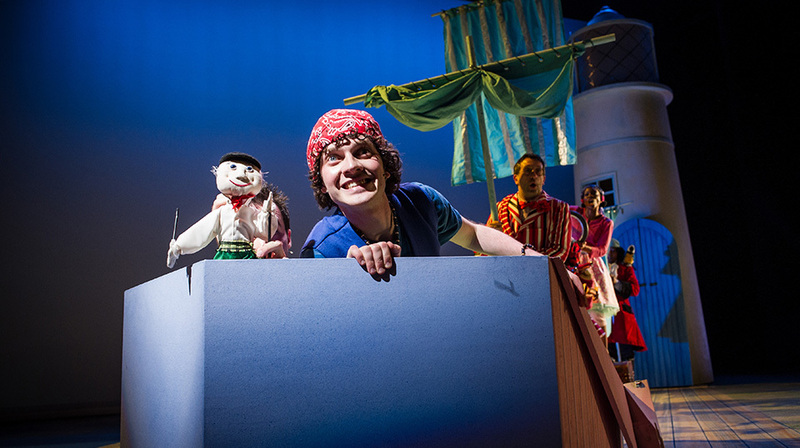 Due to its popularity, Adastra Creative Limited have produced an adapted two-hour stage production aimed at 4-11 year olds, and from the 23rd May will be going on tour around the UK. On this particular adventure, Grandpa, Jason, and Jemima will travel the seven seas in search of treasure along with their new buddies Sunnysands Pirate, Horatio Heave Ho. But when things go wrong, it is up to Grandpa and his magical shrinking cap to save the day. Ticket prices vary depending on which theatre you go to, but they range from about £8-£17.90. Some tickets are standard, while others have a lower price for children.